January 4, 2018 - Like us now! Salaries at most top companies are guarded somewhat like the nuclear codes — employees are expressly told not to discuss them with peers, emails with salary information are marked confidential, and meetings where salaries are talked about are held behind closed doors. But a startup has gone to the other extreme as far as salaries are concerned — it publishes them on its website for the world to see. Buffer, which is based out of the US and provides social media solutions, lets the entire world know how much each of its employees make, right from the CEO to the lowly interns. A Google doc on its website tells everyone that CEO Joel Gascoigne makes $265,315 a year, Karyn, its Director of Finance makes $142,279, and product manager Max in Amsterdam makes $119,737. 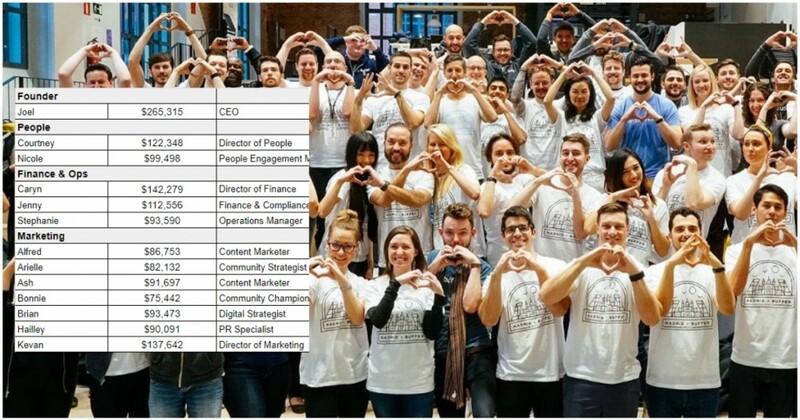 Buffer has this data for all of its 73 employees. It’s an entirely unusual state of affairs, but Buffer says its open salaries is a concept that’s rooted in its desire for transparency. “We started to think about everything we do within the company and how we could change it to something more transparent,” Buffer had said when it first introduced the idea. And publishing everyone’s salary is only of several ways the company tries to stay transparent — Buffer says it’s also completely open about its revenues and user numbers, and publishes those numbers on its blog every month. It also publicly publishes progress reports around its customer support performance and site metrics. And Buffer is also transparent around its internal communication — every email that’s sent between two people must be cc’d to a relevant group. Two engineers, for instance, who’re discussing a technical issue cc their conversations to the engineers list. But while the other changes are straightforward to implement, Buffer went to great lengths to work on its salary policy. Before it could publicly reveal its salaries, Buffer had to first decide how much people would be paid. It came up with a fairly complex formula to determine how much each of its employees would earn. “We worked on this with the whole Buffer team for about 2-3 months,” said the company. 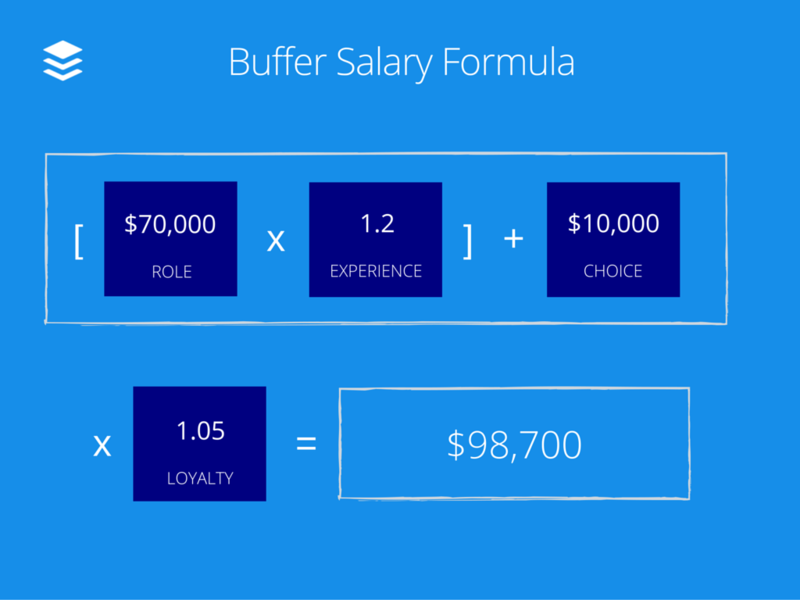 Buffer has (of course) published the formula on its blog, and it takes into account the employee’s role, their experience, and how long they’ve been with the company. Since Buffer operates out of locations as diverse as the US, UK, France, Spain and Singapore, the formula also takes into account the employee’s location. The biggest factor in an employee’s salary is the “role” component, which in turn uses data from Glassdoor and Payscale to determine how much employee in similar roles are making, a location correction based on the cost of living at different locations, and Buffer’s own multiplier, with which it values individual roles. The second component of the formula is the experience multiplier, which can take one of four values — 1x for Beginner, 1.1x for Intermediate, 1.2x for Advanced, and 1.3x for Master. A third component is “loyalty”, through which employees receive general 5% pay raise for every year they’ve spent at Buffer. The “choice” component reflects how much of their salary the employee chooses to receive as company stock. And while the idea might seem radical, it does seem to be working. Buffer had first introduced its transparent salaries in 2013, and then followed up with a change in its formula in 2015. 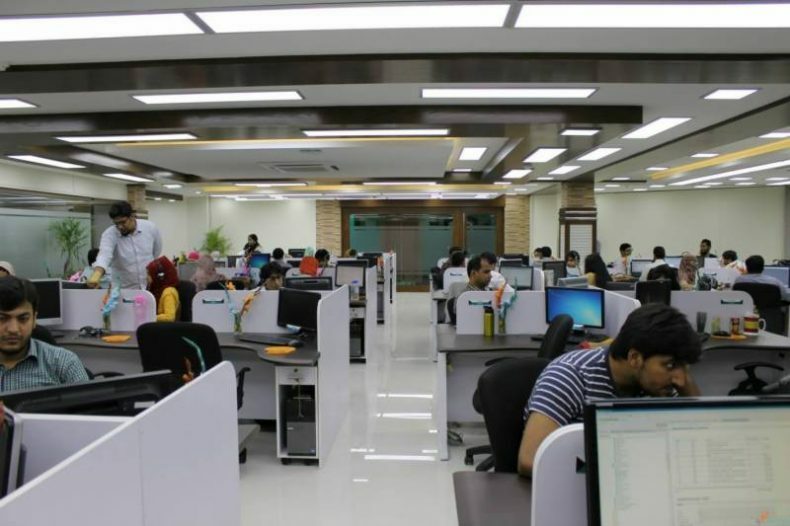 It’s still publishing salaries on its blog, and there have been no apparent ill-effects in its functioning. Buffer is rated a very impressive 4.7 on Glassdoor, and employees clearly seem to feel that the increased transparency helps — Buffer scores an even more impressive 4.9 out of 5 on the “Culture and Values” tab. While Buffer’s experiment has its limitations — it’s a relatively small company, for one — it does lead one to wonder: is the extreme secrecy around salaries at companies for any good reason at all? The story was originally produced here and has been reproduced with permission.